My mother Jolanda Rodio and father (Helge Buch) divorced 2 month after I was born. I was the youngest of 3. 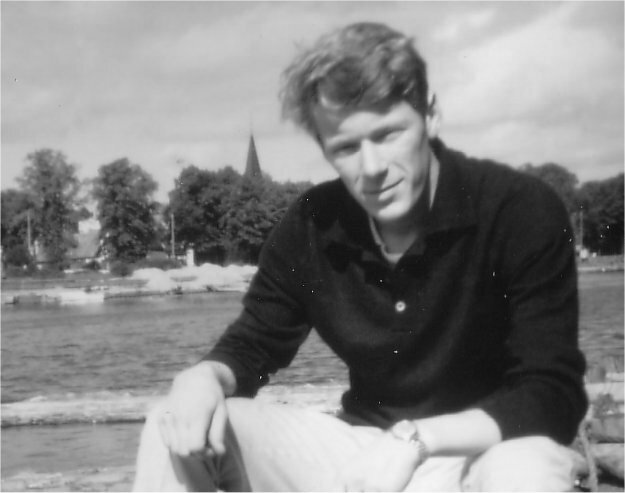 My eldest brother Henning grew up with my fathers family but he died when I was 10. 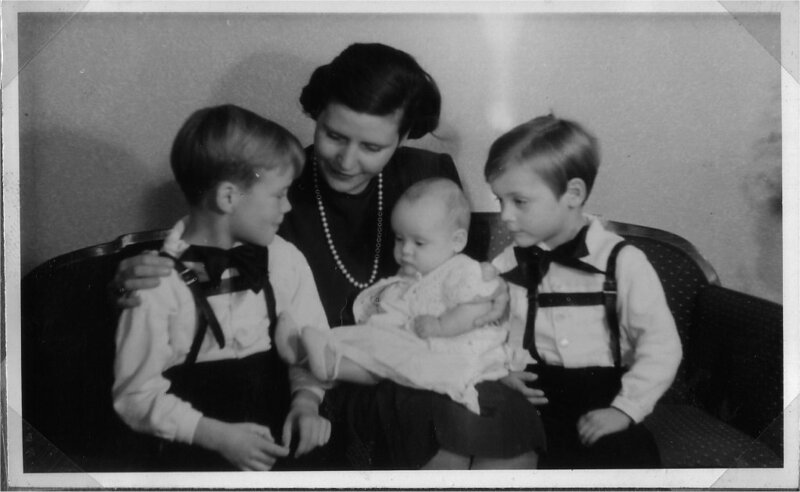 My other brother Preben and I grew up under my mother’s guardianship. When I had passed the Danish “Real-examen” I decided to take time off from study and went to Todtmoos-Rütte in The Black Forest, Germany, where I worked for some years at “Hertzel Haus” a Hotel & Recreation Centre. The Centre was founded by Karlfried Graf Dürckheim and is still used for meditation and seminars. The Centre is, today, regarded as one of the most important centres for “Vermittler meditativer Praxis und Erfahrung des Zen-Buddhismus mitten hinein in die therapeutische und religiöse Atmosphäre des Abendlandes”. My aim was to find out what I wanted to do with my life. I thought that I would become a physiotherapist, but a that time one had to pass a endurance test, which I failed due to weak wrists. At least I was not idle; by the time I left Todtmoos-Rütte I had gained a cook’s diploma. Having failed to become a Physiotherapist I was invited to work in a clinic in Hamburg, just to see what I had missed and I must admit that I was happy that I could not become a Physiotherapist. While I was there I realised that I had better become some sort of technician, as I invented a gadget that made mending Volkswagen engines much easier, for which I received a cash bonus. I could not patent my invention, as all the parts used were Volkswagen originals. As I didn’t want to be reliant on anyone, when I did return to Copenhagen, I got a job working in the kitchen of a convent. I worked from 7:30 to 9:30 and again from 11:00 to 13:30. I was studying in between work and evening-classes that ran from 18:00 to 22:30. And for six months I also worked at Tuborg from 23:00 to 5:00. They were tough times, but the satisfaction, at the end of the day, was worth it. I moved to Zürich, Switzerland where I married Helmuth Steinman. I worked for two different firms as a Technical Assistant. I became interested in computing, after my divorce, and worked for Migros Genosseschafts Bund (MGB) in Zürich. I started my computer career on a GE400 as an operator. I then advanced to group leaded of operation and when MGB switched to UNIVAC 1106 mainframes I moved into software development. This is where I have remained. I enjoy the work and varied challenges. I came to England originally on a one year’s study leave, and found work at BP in Hemel Hempstead where I worked in their software department for 10 years. I then switched to Abbey National in Milton Keynes from where I am now retired. It was here that I became interested in PC’s and found the inspiration to start “MusseKat Support” in 1996. It started as a hobby but has since grown into my business. My mother died at the end of 2000. Once I was retired in 2003, I already had decided that building, maintaining and upgrading PCs didn’t have enough challenge for me, so I took 18 ‘City & Guilds’ in IT and 3 in teaching to enable me to start PC-How2 in 2003.